mark. 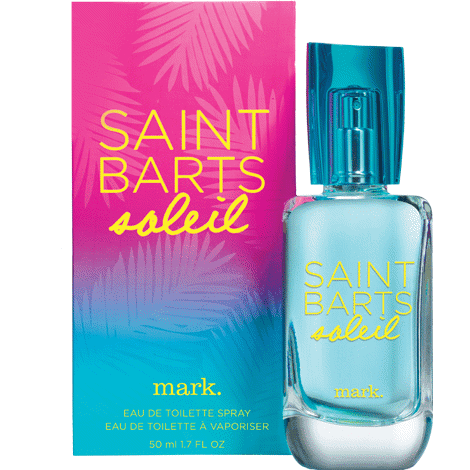 Saint Barts Soleil - 50ml EDT - $24, 150ml Shimmering Body Lotion - $14 - take your senses on a journey to a glam island resort with a luxurious blend of fresh, breezy Caribbean waters; rich, exotic coconut milk and bold, beautiful frangipani flower. Island Eyes Eye Color Palette - $18 and Island Beauty Face Compact - $28 - which includes 3 shades: bronze, deep coral and champagne that can be used together or separately and is great on all skin tones.